I didn't watch the game so I don't have any analysis. I knew this year would be a bit uneven and inconsistent, but I was hoping maybe Coach could hang his hat on sweeping AFA and Wyo. That won't happen now. Unfortunate but it is what it is. I also try to keep hoops and football separate. I don't think losing yesterday is some symbol of the AD not caring about the Wyoming rivalry. We're just in a crappy stretch. But that being said, I hope in our AD's goals for the department that it's made very clear as to the importance of beating both Wyo and AFA. 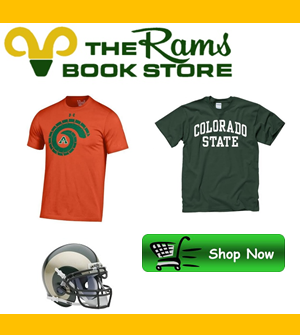 It should be made clear that this is extremely important at CSU to alumni, fans, etc. Hell, maybe grab Tom Ehlers and have him teach a history lesson or tell a story to every team (all sports) about the Wyoming rivalry to stress its importance. This isn't rocket science.... Wyo hates us. They think of us in terms that we think of CU.